A man who says he was groped by Kevin Spacey at a bar in Nantucket two years ago filmed the alleged incident on Snapchat, NBC News reported. The girlfriend of the alleged victim told investigators that he sent her a Snapchat video showing Spacey touch the front of his pants "by his crotch" as proof that the incident had happened, according to police documents. Investigators apparently have confirmed the video with the alleged victim, then 18. Prosecutors announced Christmas Eve that a charge of indecent assault and battery was filed against Spacey, who is due to be arraigned on Jan. 7. 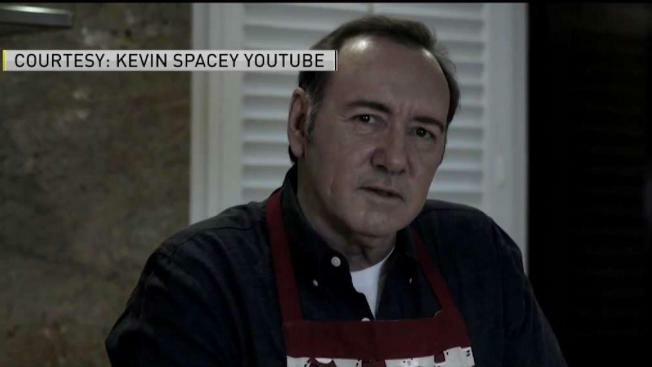 Spacey released a video on the day the charge was announced in which he says, "soon enough you will know the full truth," apparently in character as the star of his former show, "House of Cards." It wasn't clear what Spacey was addressing, and he hasn't responded to NBC News' request for comment.